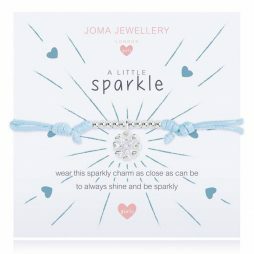 The sweetest girl’s bracelet, with the sentiment, “wear this sparkly charm as close as can be to always shine and be sparkly”, on the white and blue hearts gift card. 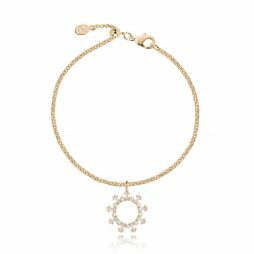 This bracelet features a cubic zirconia flower charm on an adjustable, light blue cthread bracelet. 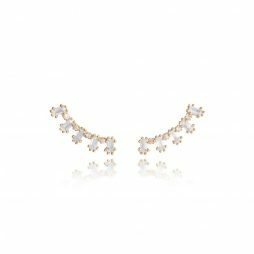 Inspired by golden sunsets on a summers day, this pair of ear jackets can be worn 3 ways. 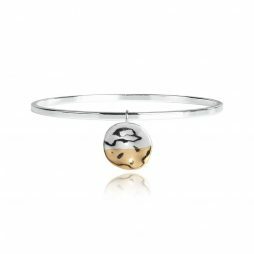 Featuring a 2 part shining silver, organic hammered disc with gleaming yellow gold dipped effect. 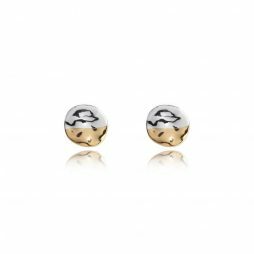 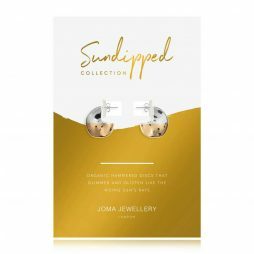 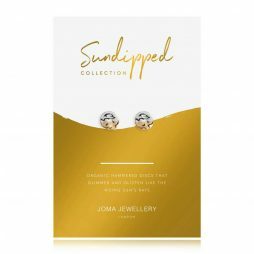 Be bold and stay gold with Joma Jewellery’s cool and chic Sundipped stud earrings, new this season. 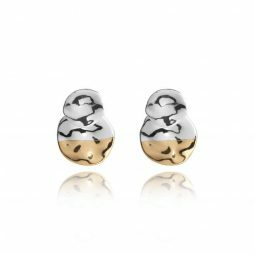 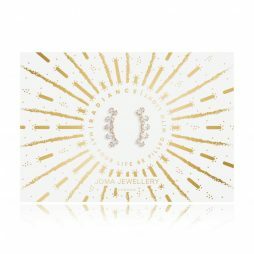 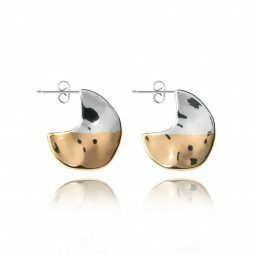 Inspired by golden sunsets on a summers day, this pair of stunning earrings feature a shining silver, organic hammered disc with gleaming yellow gold dipped effect – a must-have summer accessory. Be bold and stay gold with Joma Jewellery’s cool and chic Sundipped necklace, new this season. Inspired by golden sunsets on a summers day, this stunning necklace features a shining silver, organic hammered disc pendant with gleaming yellow gold dipped effect on a silver plated chain. 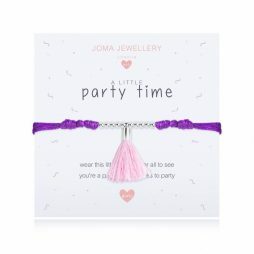 Introducing Joma Jewellery brand new limited edition Ankle bracelets, a fabulous combination of beautiful boho design and premium luxury. 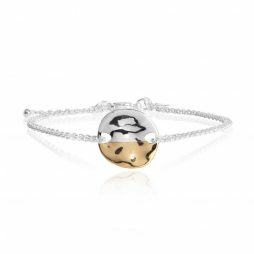 In yellow gold this adjustable moon anklet is sure to have you walking in sunshine! 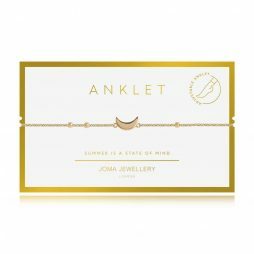 Introducing Joma Jewellery brand new Anklet, a combination of beautiful boho style with premium luxury. 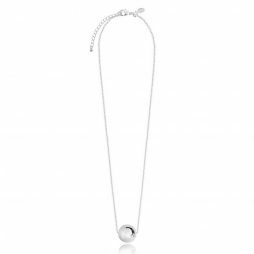 In yellow gold this adjustable double chain is simple and chic. 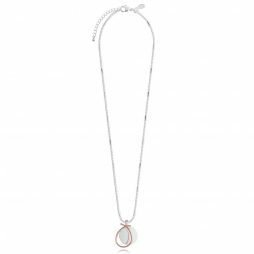 Stunning new Alina Heart necklace that is guaranteed to add a touch of glimmer and radiance to any outfit. 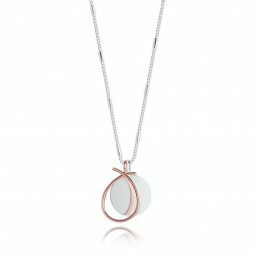 This necklace features a beautiful rose-gold outlined drawn circle shaped pendant teamed with a silver plated disc on a silver dash chain, creating a stunning two-tone look. 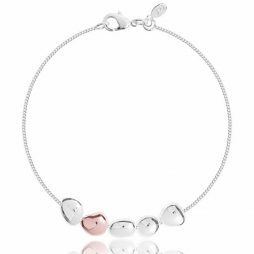 Gorgeous new Alina Heart necklace to add a touch of glimmer and radiance this season. 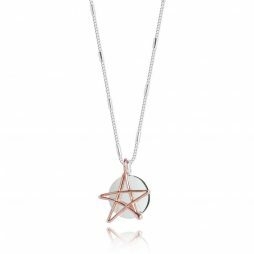 This necklace features a beautiful rose-gold outlined drawn star shaped pendant teamed with a silver plated disc on a silver dash chain, creating a stunning two-tone look. This pair of eye-catching silver Signature Stone earrings are the perfect accessory to make a statement all season long. 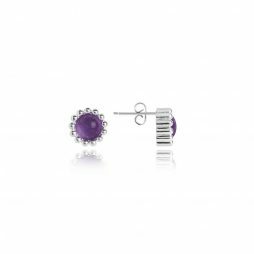 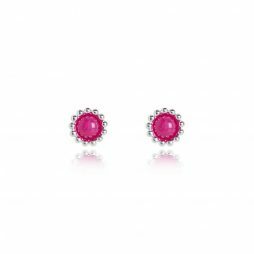 Showcasing a stunning semi-precious Fuchsia Pink Agate stone set within a multi-sphere silver stud. 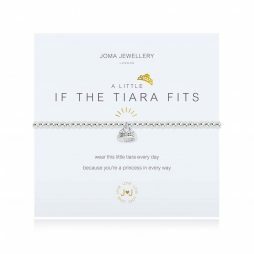 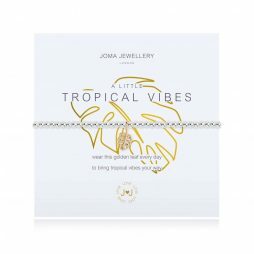 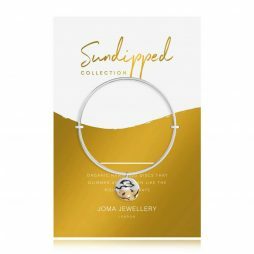 From Joma Jewellery Radiance Collection, this on-trend bracelet is the ultimate summer accessory. 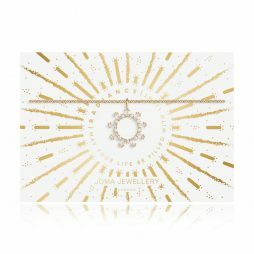 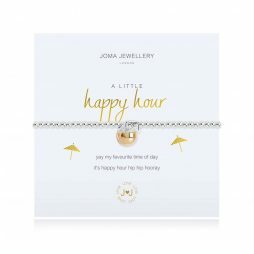 Radiating with glowing golden charm, this bracelet features a golden sun detailed with shards of prong set crystals and a sliding extender to create a summer glow. 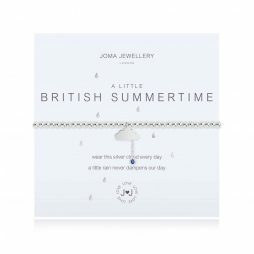 This limited-edition Joma Jewellery Radiance Necklace is the ultimate summer accessory. 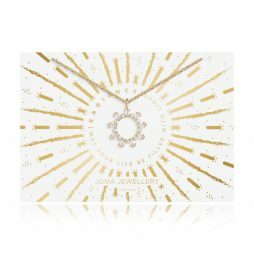 Radiating with glowing golden charm, this necklace featuring a pendant of shards of prong set crystals creating a brilliant a yellow-gold sun for a warm summer glow. 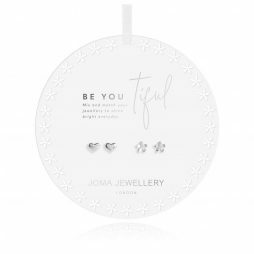 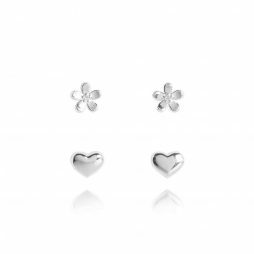 We love these brand new earring stud sets from Joma Jewellery’s Beautiful Bloom Collection. 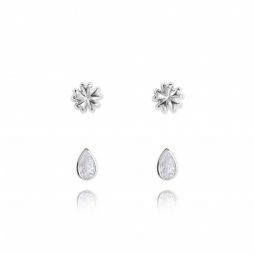 These pretty earrings are ‘Oh So Pretty’ in silver, with a pair of crystal tear-drops and a second pair of lovely flower shaped studs. 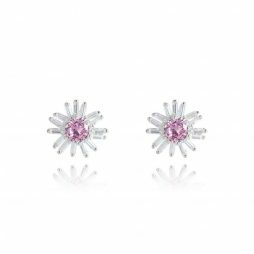 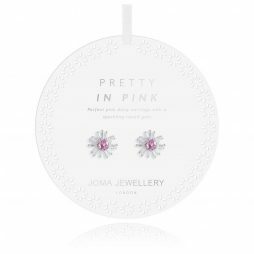 From Joma Jewellery’s brand new Beautiful Bloom Collection, this pretty pair of earrings feature a shining pink crystal in the centre with a dusting a crystal petal shards around the edge to catch the light. 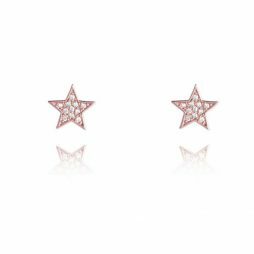 This pretty pair of Joma Jewellery Pave Crystal Rose Gold Star shaped earrings from the Florence collection are the perfect accessory to wear for any occasion. 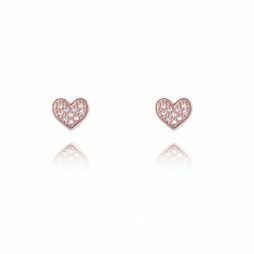 This pretty pair of Joma Jewellery Pave Crystal Rose Gold Heart shaped earrings from the Florence collection are the perfect accessory to wear for any occasion. 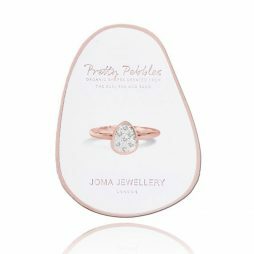 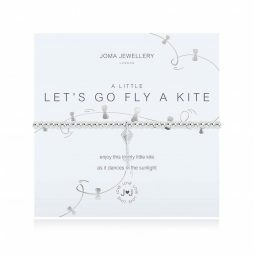 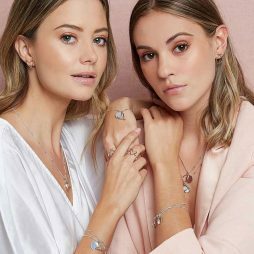 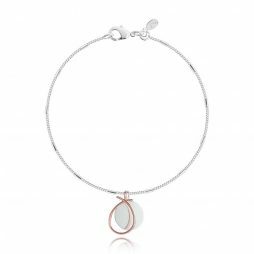 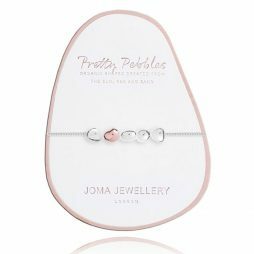 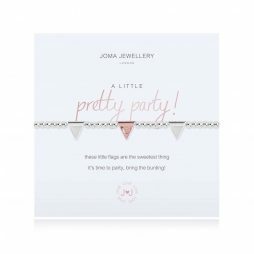 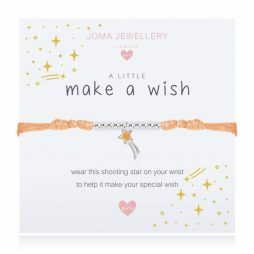 Perfectly pretty in every way, the brand new Joma Jewellery Pretty Pebbles bracelet features 4 smooth organic shaped pebble pieces in a shining silver and a single radiant rose gold pebble on a dainty silver plated chain. 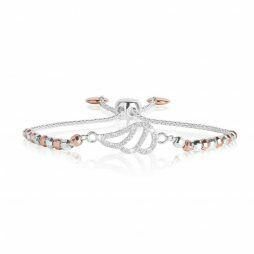 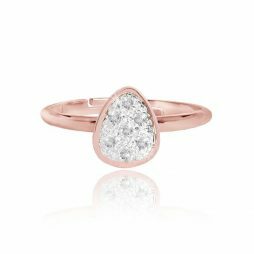 Featuring an adjustable smooth rose gold band with a gorgeous silver crystal pave encrusted pebble. 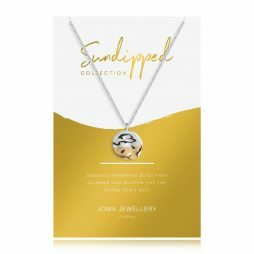 Joma Jewellery Orb Sphere Silver Necklace. 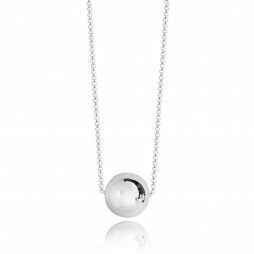 This contemporary Sphere charm on a long necklace is your perfect stand out piece this season from Joma’s brand new ORB collection. 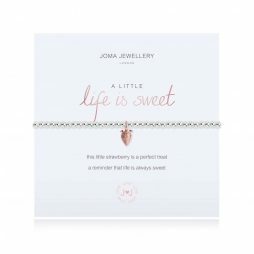 This silver plated beaded ‘A Little’ bracelet with the words “congratulations, it’s a bonnie boy your beautiful little bundle of joy.” Featuring a wee silver plated heart with tiny blue crystal charm. 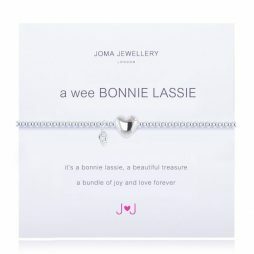 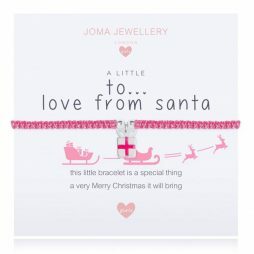 This silver plated beaded ‘A Little’ bracelet with the words “it’s a bonnie lassie, a beautiful treasure a bundle of joy and love forever.” Featuring a wee silver plated heart with tiny pink crystal charm. 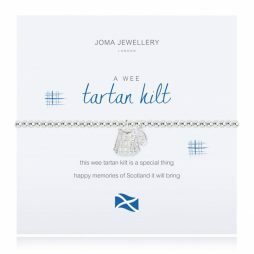 This silver plated beaded ‘A Little’ bracelet has the words “This wee tartan kilt is a special thing, happy memories of Scotland it will bring.”. 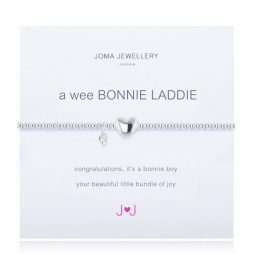 Featuring a wee silver plated tartan kilt charm. 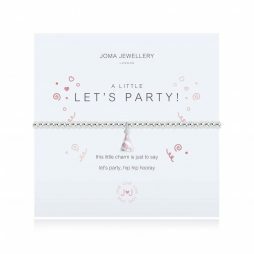 A silver plated beaded stretch ‘A Little’ bracelet with the words “This wee dram of whisky is a charming thing, fun and merriment it will bring.”. 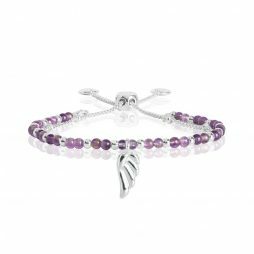 This bracelet features a silver plated dram of whisky charm.